Tourism Saskatoon believes strongly in protecting the privacy of our inquirers and customers. In order to ensure your privacy, all information collected from inquirers to Tourism Saskatoon is treated as confidential. We will not share or sell to any third party, information collected from inquirers without the express consent of the inquirer. 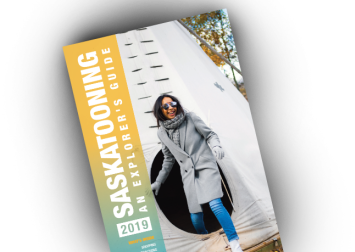 We pledge to never release your personal information (name, address, telephone number, e-mail address, tourism areas of interest or credit card information) to anyone who is not employed or contracted by Tourism Saskatoon to provide a service to you. Tourism Saskatoon operates the https://tourismsaskatoon.com website, which provides the SERVICE. This page is used to inform website visitors regarding our policies with the collection, use, and disclosure of Personal Information if anyone decided to use our Service, the www.tourismsaskatoon.com website. Any information we ask you to provide is collected in compliance with Canada's Electronic Documentation and Right to Privacy legislation. If you wish to be removed from our database, please contact Tourism Saskatoon at 1-800-567-2444 or email info@tourismsaskatoon.com. For more information about any of the policies described above or about our website in general, please contact us directly.